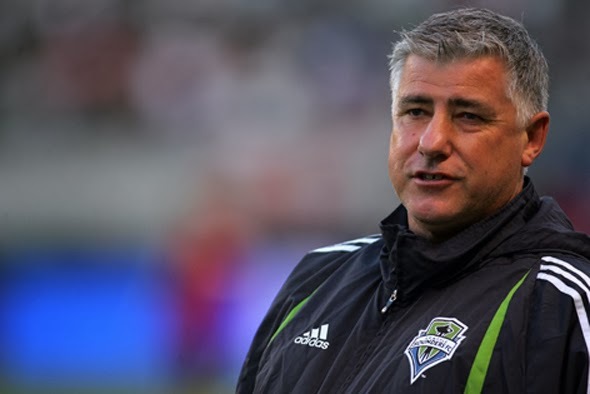 Schmid replaced the Nigerian striker with defender Marc Burch in the 82nd minute at the StubHub Center and the decision was met with derision by Martins who was clearly upset with the substitution. “It’s an emotional game,” he said. “Emotional players are emotional. “That’s what you expect. Nobody is going to be happy when they come off the field. Oba and myself have talked about the situation, and he acknowledged the player going in for him, which I think is very, very important. “I get really upset if they don’t do that. But he acknowledged the player that went in for him and he was frustrated. “He was upset at being subbed out. It wasn’t where he was trying to show the world that he was upset with the coach. It was just something where he was frustrated coming out of the game because he’s a competitor. “That’s what you expect all your players to be. There is maybe decorum and diplomacy and shaking the hands and all of that stuff, but in the game, for me to turn that into a confrontation I think is silly and stupid.